Educators, there has never been a better time to teach your students about pollinators! By learning how to plant native plants that provide crucial habitat support, schools, agricultural partners, and other community stakeholders can join forces to protect these precious animals. 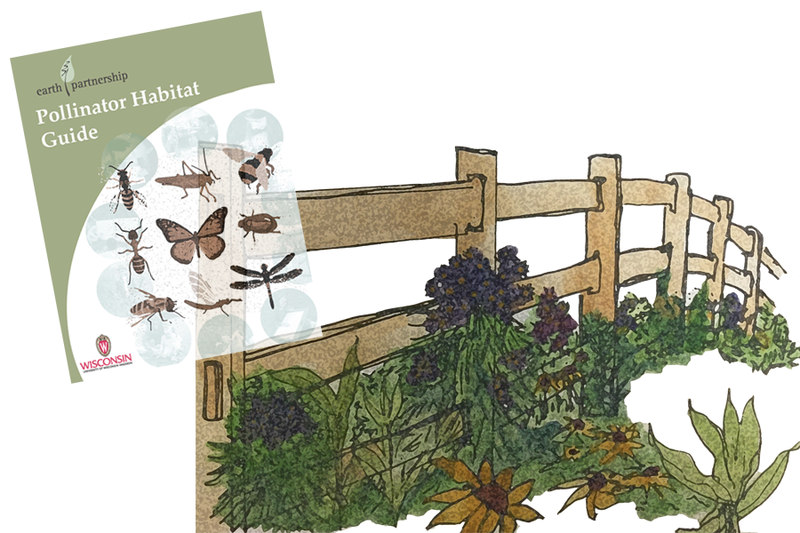 This guide outlines the habitat restoration process from site analysis and design through seed propagation and restoration management. Lessons are designed for K-12 students, but can be used by anyone as a resource to aid in planning and implementing a habitat restoration. You can view or download a copy of the guide by clicking here. Funding for this guide is provided by Sand County Foundation, Enel Green Power North America, Inc., We Energies Foundation, and Monarch Joint Venture. Thank you to these sponsors for their support! Previous post: Earth Partnership summer institutes kick off in Red Cliff and Bad River!